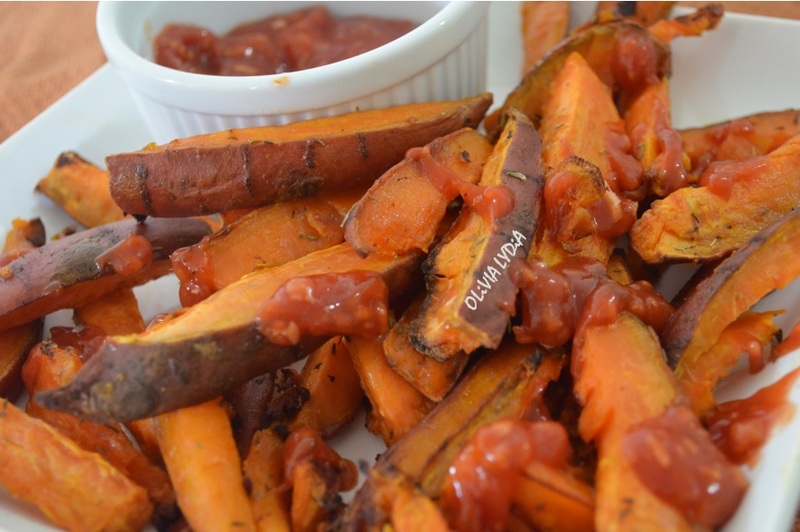 Sweet Potato Thyme & Ginger Ketchup – Olive For Greens. 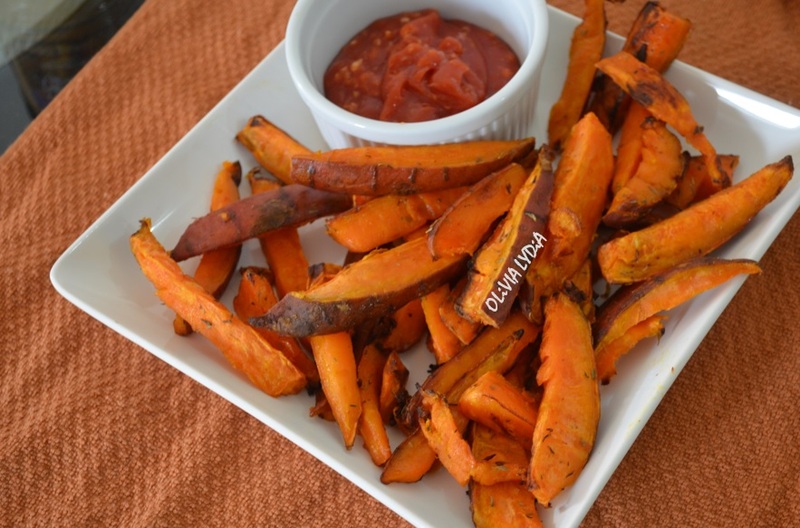 Sweet potatoes are so versatile. They seem to be taking over the health food world. Why you ask? Because they have more vitamins and fiber than white potatoes- Fiber, as you may know, is great for digestion. This recipe is quite simple and not too out of the norm for most people. Some of you may not have fresh ginger handy but that is alright- just use powdered/ground ginger instead. However, fresh is always best because the flavors are more potent and will boom your taste buds! When cutting your potatoes, you can cut them any style you like- thins, rounds, wedges, etc. Go with your mood! I hope you enjoy this mildly spicy-sweet heat recipe! Pair with a big leafy green salad- Try this one! 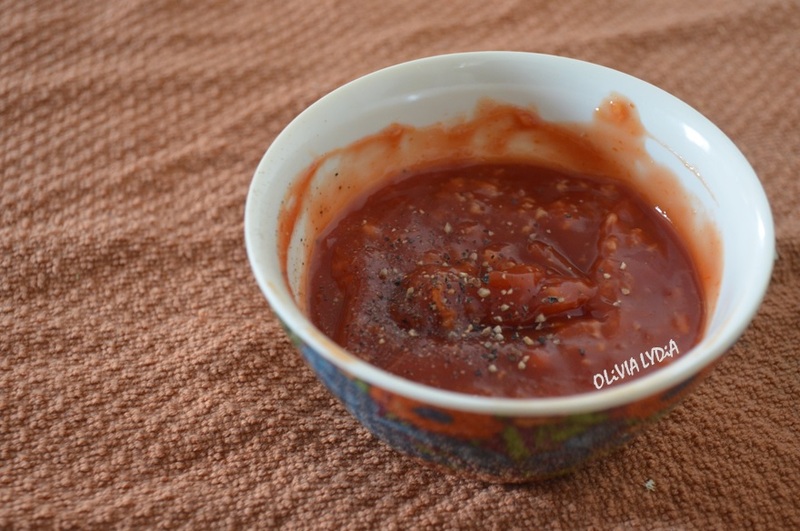 TIP: Why organic ketchup? Because there is no high fructose corn syrup! 1. Combine all of the ingredients in a small bowl, stir and set aside. Preheat the oven to 425 degrees Fahrenheit- peeling the potatoes are optional but I prefer the skin. Drizzle with olive oil then season with salt & thyme- don’t be afraid to toss with your hands! Arrange the fries on a baking sheet in a single layer. 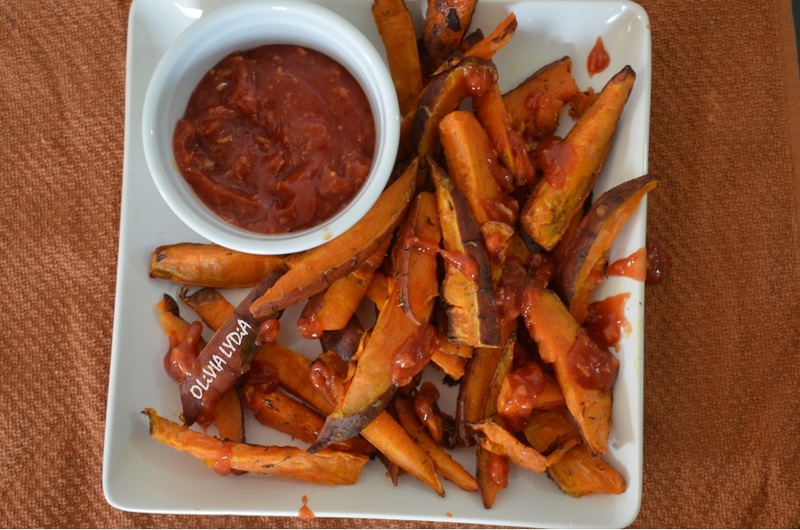 Bake for 15 minutes, remove from the oven then toss the fries with a spatula. Bake for an additional 15 minutes- or until they are as crisped to your preference.